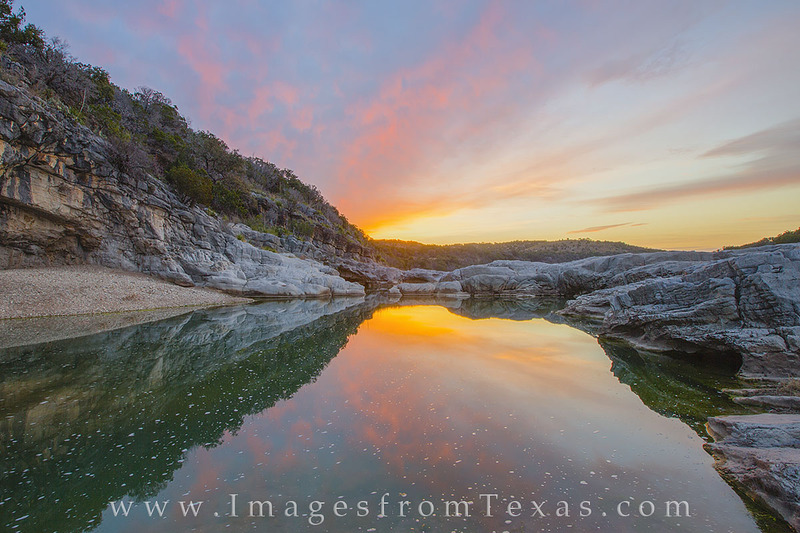 Sunrise comes to the Pedernales River in the Texas Hill Country. Along this stretch of river, pools such as this form, and the stillwater and rocky canyon walls makes for great reflections on a cold February morning. Photo © copyright by Rob Greebon.